Sunday review #1: The return of Miliband vs Miliband; Gio at 40; Cameron’s swerve? New weekly digest on what happened over the last seven days but didn’t quite make the blog. 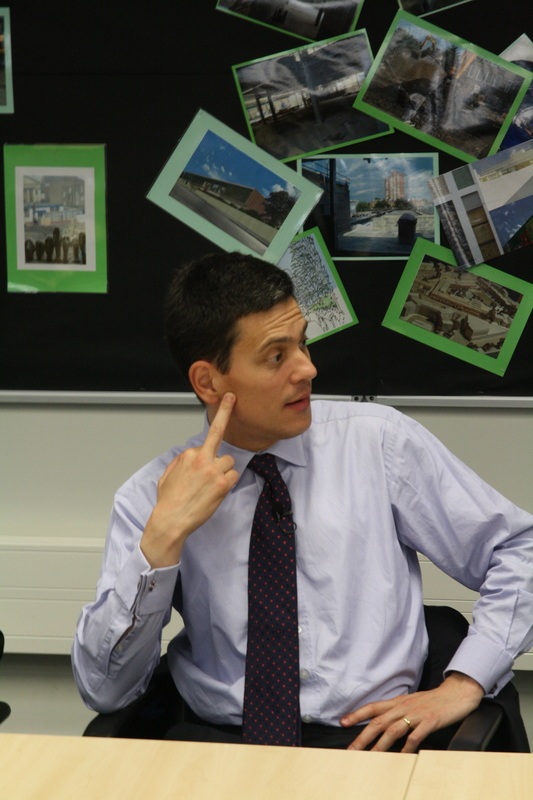 * CONGRATULATIONS to all the national newspapers for managing to tickle the Miliband vs Miliband story some more throughout the weekend, without really mentioning the fact that they both went to Haverstock School. Kahunas, I’ve just bleeding done it myself. For several years, it seemed you couldn’t write about their Archeresque novel of fraternal rivalry, the story that keeps giving and giving and giving (copy ‘and giving’ and paste 200 times here) without mentioning Labour’s Eton yadayadayada… Yet I didn’t see the word ‘Haverstock’ anywhere this time around. Maybe, the fact D-Mil teaches sixth-formers there now and E-Mil films his electoral broadcasts in one of its classroom has finally guaranteed that everybody knows the must-know fact that THEY WENT TO HAVERSTOCK. And so did Oona King. * The story goes that David M may still be thinking about leading the Labour Party at some stage, but surely this isn’t the time to making any life-changing decisions. There must be so much on his mind. One of his favourite pubs, The Engineer in Primrose Hill, could be about to get an unwelcome makeover – and, like a low wage family which could only risk applying for a couple of events offered on Seb Coe’s wheel of misfortune, he didn’t get any Olympic tickets. Not even trampolining, as he tweeted this week. Not even trampolining. First you get beaten by your brother in front of your friends, then your pub turns into a Harvester and then you lose a scramble for trampolining tickets. That’s a quite a turn of events for the former Haverstock student (aarargh, now I’m doing it, it’s a condition). Surely there will be some people who will be stretching out their thumb and index finger into a right angle and slapping the shape created by this childish formation on their foreheads when they see him in the street soon. That is, unless he really can wrench his way to the leaders’ seat after all. Remember, more members in Camden favoured him over his brother last year. The last five Labour leaders’ election records: 0-1, 0-1, 0-2, 3-0, 0-1. Guess which one was Tony Blair? Enough said. * Back in Camden. Happy Birthday to Gio Spinella, the Camden councillor, who turned 40 this week. The old geek celebrated by going to watch the X-Men movie. How else? Kapow, kaboom. He loves comics, remember. Four decades clocked up, he nevertheless isn’t the eldest Tory on the council benches. Roger Freeman, member for Swiss Cottage, is a smidgeon or two older. Yet Roger – the man in the red trousers at council meetings – is, it turns out, a bit of a dark horse and has given younger saps like Councillor Don Williams quite a whipping on the tennis court. Don has been scanning yellow pages for coaches ever since. * The Green Party in Camden has fashioned themselves a bit of free publicity from residents in Somers Town. It’s not uncommon these days to see their ‘no junk mail’ sticker on letterboxes in that part of the borough. But is everybody who has one on the flap really voting Green next time around? 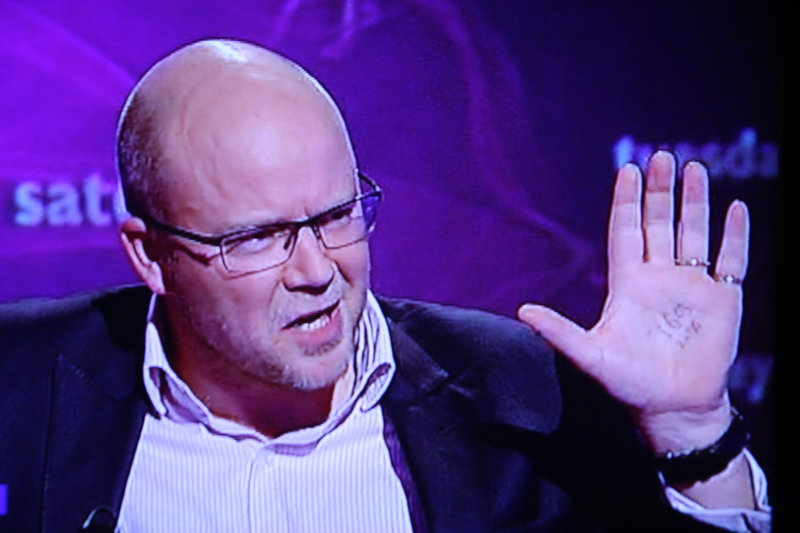 *Chopper footballer Alastair Campbell tangoed/tango’d (make your own spelling up) with William Ellis old boy Toby Young on Thursday night, both appearing as guests on This Week – the BBC ‘politics’programme where journalists confirm they’ve made it in journalism by dressing up in cliched fancy dress for sketches about who said what at Prime Minister’s Questions. Mehdi Hassan as Austin Powers remains burned inside the skull, haunting. Campbell and Young inevitably began arguing over education. Young is setting up a free school in West London, Campbell’s partner, the campaigning journalist Fiona Millar, has been consistent and vocal in her opposition to these new models of schools. Campbell had Young seething when he teased out the fact that Young’s school was soaking up government funding because it was the government, not Young and co, buying the new school its site. Young flashed back something about ‘your wife’ needing to listen. Not sure Campbell and Millar are married, but more importantly, what was the message on Young’s hand as he gave Campbell the palm. It might as well have said ‘Free schools are good, free schools are king, lalalalala not listening’. * Story that didn’t kick off as its authors might have dreamed about: Glenda Jackson’s comments about migrant workers to the Work and Pensions committee. The H&K MP told the panel and minister Chris Grayling: ‘You put all those people into that box and as far as the people out there are concerned, migrant workers do something like picking strawberries, digging up potatoes. It’s temporary and they tend to be students.’ This was translated by the Daily Mail report as Ms Jackson saying that all migrants in the UK did little more than pick berries. The paper editorialised that it was an ‘extraordinary statement’. When people clicked on the story, however, people wondered more as to why DM Towers haven’t got a more recent picture of Ms Jackson, than whether Ed Miliband would be rushing to discipline her. That said, one Thai visitor to the site did warn the 75 year-old MP that she had now blown her own chances of leading her party in the future. Go Glenda. Tell it like it is, girl! You’ve drawn attention to an obvious truth. Mind you, it’s screwed up any chance you might have had to become leader of the party but I don’t suppose you are all that fussed. No. I doubt she’s all that fussed too. * Sport. If you didn’t see this football clanger from a penalty shootout at the end of a lower league Italian play-0ff match, you are not following lower league Italian play-off matches closely enough. * David Cameron swept through University College London in Euston earlier in the week. The Camden New Journal‘s invitation must have got lost in the post. Gordon Brown had the same problem with his letters. I mean it can’t have been that he didn’t want to come across questions from Tom Foot, who has been on fine form on the health beat for the paper. * ..and finally, The Mirror showed us why you can’t put any ad on any page, a mistake every newspaper makes every now and then. 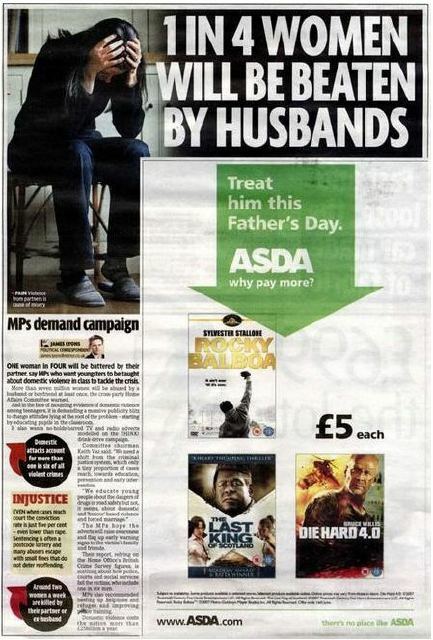 Still the big green arrow in the Asda ad printed in Friday’s edition only accentuates the uncomforable clash of story and ad. 2 Comments on Sunday review #1: The return of Miliband vs Miliband; Gio at 40; Cameron’s swerve? Not quite free publicity for the Green Party – those “no junk mail” stickers aren’t cheap, though made to be longlasting. But they’re part of an anti-junk mail campaign across the borough. We’ll drop a free “no junk mail” sticker around to anyone in Camden who wants one – just email camden@greenparty.org.uk.